You don't have to choose between inbound or outbound marketing. It's fairly simple, use both. Knowing inbound tactics is great. Knowing outbound tactics is great. But can you do both? Yes, that’s when you take your digital marketing to the next level. Because you’ll accelerate the time it takes to reach your marketing goals. And today, I have something that will show you how to do it. 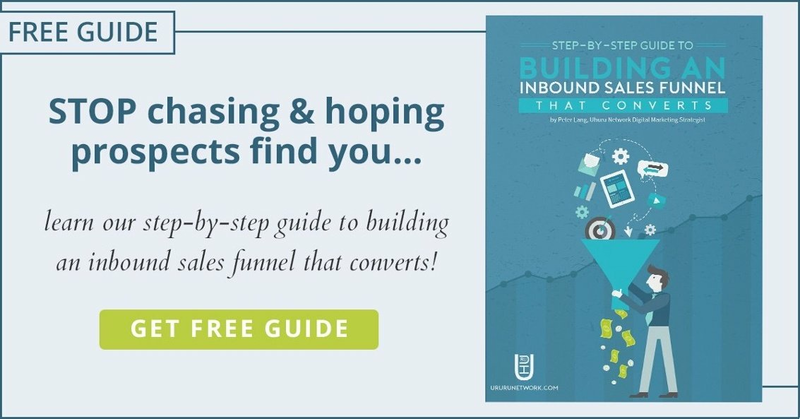 In this quick guide, I will give you the steps to using inbound and outbound marketing tactics together. Inbound marketing is the inverse of outbound marketing – which means that a business attempts to attract visitors in with quality content rather than purchasing ads and attempting to reach out to its target buyer. Inbound marketing has a greater return as a sales conversion as the prospect is coming to you with an expressed interest in your content. When a prospect comes to your site through search or an advertising campaign, the cost per conversion is most likely lower than your other marketing channels. Now, this is inbound and outbound working together. Educational and useful content is at the core of your inbound efforts. Even when it’s optimized for organic search engines you still have to be patient, spend time promoting, and building backlinks. Creating inbound marketing content is an investment of time, money, and resources – which is why we need to accelerate our return on that investment. We are in a very special time. Facebook offers multi-data-point-contextual-targeting that empowers you to target your ideal buyers with pinpoint accuracy. Let’s say your ideal buyer persona is Do-it-yourself Debbie. You know her gender, age, certain topics she’s interested in, and location. All of these data and more are available to Facebook advertisers so that they can target the exact people who fit Do-it-yourself Debbie’s persona. The reason you and other businesses fail in Facebook advertising is not because you’re bad at advertising; it’s because you don’t know your ideal buyer persona accurately, nor do you do enough targeting. Many people get lazy with their targeting. If you’re still stuck, you’ll need a digital marketing agency to help. By implementing inbound, you will know more about visitors and what messages our visitors will respond to best. Therefore, you can better target your ad messages and improve the likelihood they will respond to them. What they’re interested in: If they visit a blog post about wine tasting, we can safely assume they are interested in wine tasting. If they list a page about baking pies, we can assume they are interested in baking pies. Also, using smart forms that change questions each time the visitor completes a form on your website will help build a clear picture of his or her needs and interests. Where they came from: The source of their visit will build a picture of what they’re looking for and how they came to your site. With all this information, you will build relevant content that we can use to build hyper-relevant and hyper-targeted ad campaigns. If the target buyer doesn’t convert into a lead from this initial campaign (which is most of the time), then remarketing with Facebook is another layer. The conversion point that was missed is often a lead generation form in which your target gives you contact information in exchange for downloading a content offer. Instead of the wasted investment on a lead that didn’t convert, we can use Facebook remarketing to expose the target buyer to a new message that takes into account the recent touch with our brand’s content. You don’t have to choose between inbound and outbound marketing. It’s fairly simple, use both. The key is to understand how to leverage the tactics available to you for the highest level of return. Most people who recommend one over the other don’t understand how to leverage it. They don’t understand how to use both to benefit their marketing. Whether they’re confused by the Power Editor, Facebook advertising platform, or the complexities of building a full inbound marketing funnel. It’s not over complicated. It’s simple and very powerful.